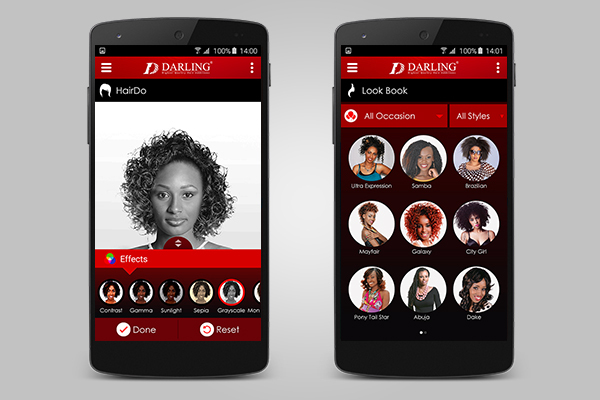 An app created for the South African women who could try out many hairdos/hairstyles, preview them and get the picture-perfect makeover! 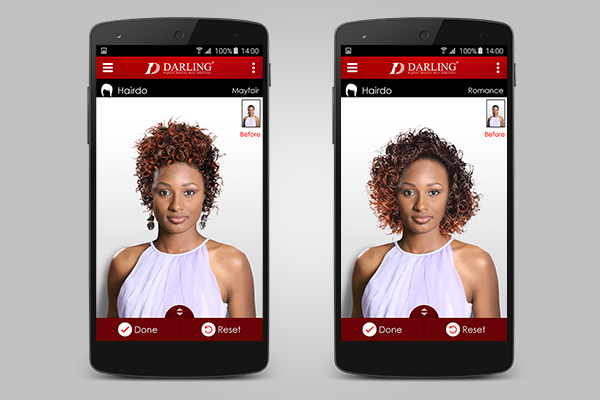 There is a hesitation amongst the South African women before they undergo a new makeover, hairdo or hairstyle. 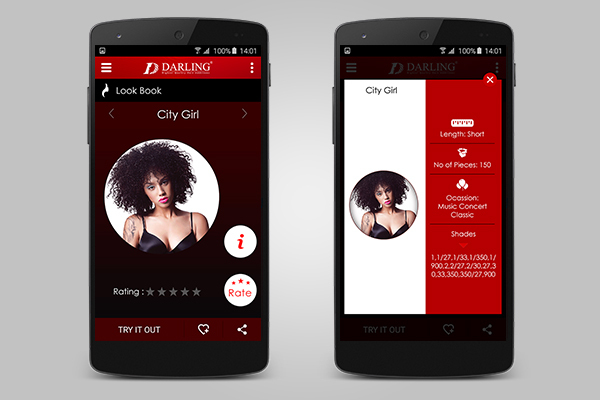 Darling app was created to resolve this issue in a much smarter and simpler way, where they could do most of the hairstyle at home for free without spending much at the salon. This was a brick to hit. The app was targeted to the mass of South Africa. By just clicking one selfie, they could know how a certain hairstyle would look on them, and that was not it… from a variety of Hairdos, they could try out hairstyles, save it, preview it and could even share it with their friends and family on social media. A unique app that incorporated hairstyles / makeovers with an interactive experience for the user with the help of the best tools, tips, information and methods to follow and achieve the accurate hairdo. 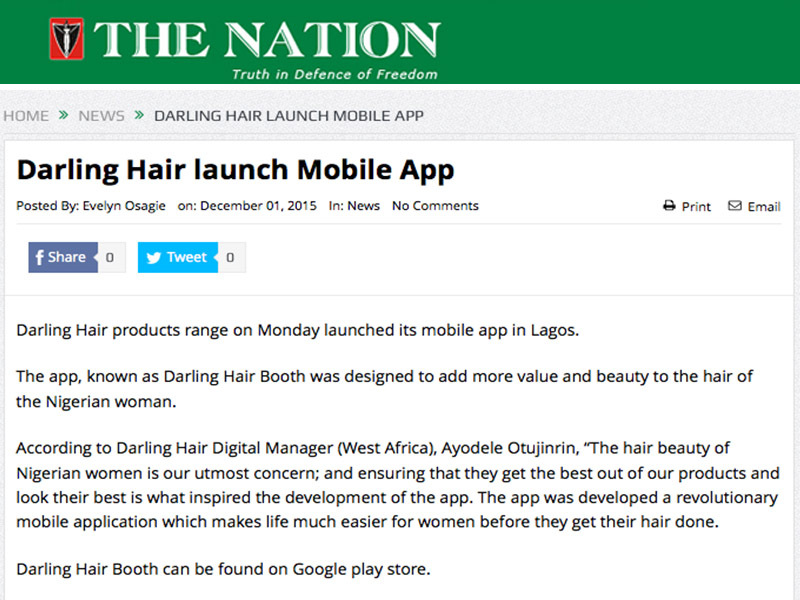 The app is currently active in South Africa and Nigeria. 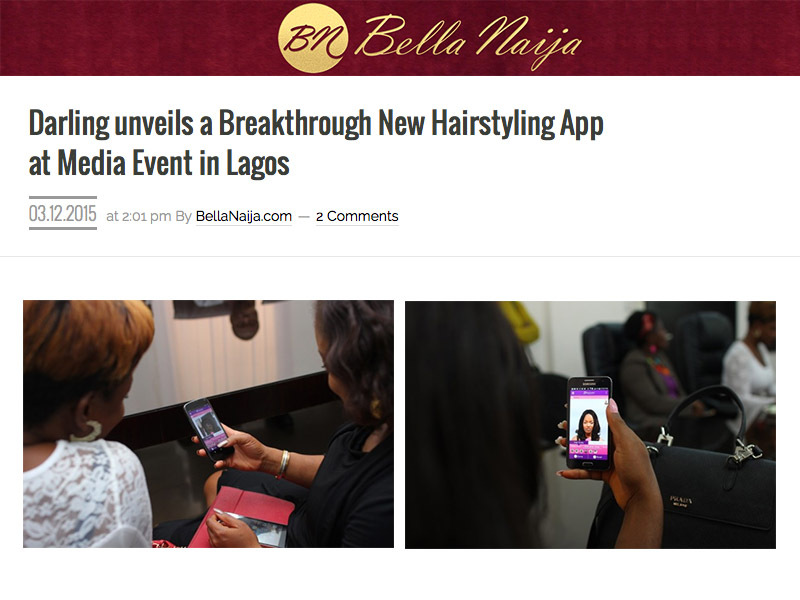 With only a few simple steps, the user could create a hairdo and also publish it on Social Media. 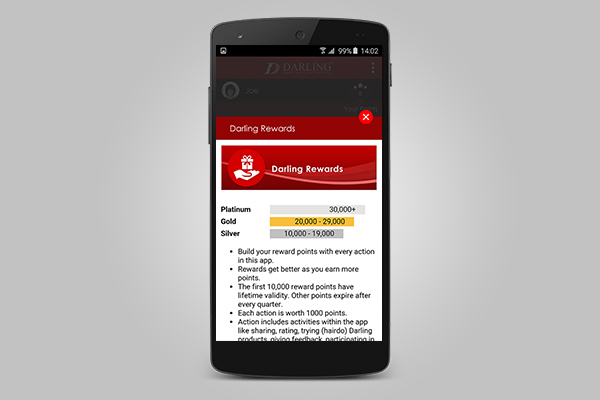 With each share and with each activity on the app (like – rating, asking queries, playing contests), users got a chance to earn Reward points which they could redeem it to buy the products. 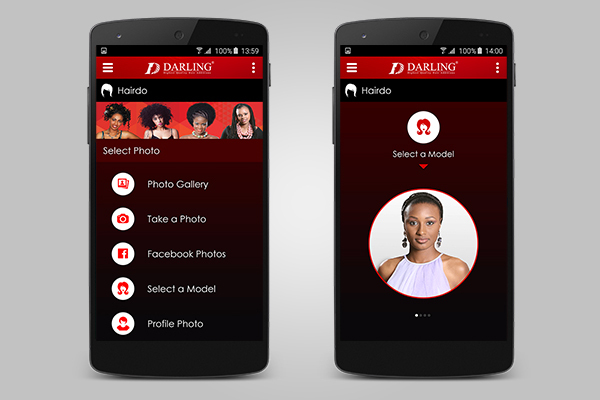 Further we enhanced the app by upgrading the ‘Look Book’ section where users could store their images before, during or after using Darling app. This section also featured ‘Darling Look Book’ section, which had dummy models on whom the hairdos could be tried on. 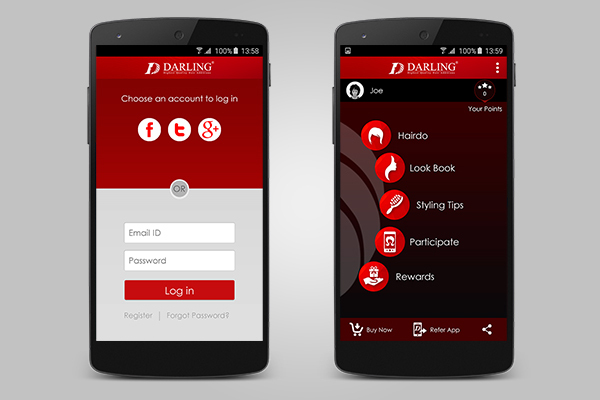 Another interesting and engaging feature of this app was the ‘Styling Tip’ section which gave users an insight of each hairstyle available on Darling app with methods, techniques and tips for salon-like makeover. We also integrated finger motions touch which helped users to zoom in, rotate and resize hairstyle – all just with two fingers. 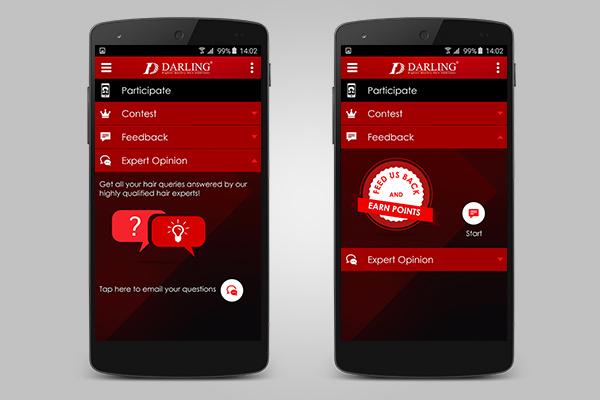 Usually, the average time spent on an app of this nature is approximately 4–5 minutes but in case of Darling App we saw an average time spent of 14:39 mins, and within just a few weeks over 51048 makeovers were recorded. Subsequently, we experienced an exceptional rise in the downloads, which itself talks about its success.